In this third and final installment of this beginner’s podcast guide, I’m going to be discussing the final parts in starting your podcast: exporting and distribution. Of course, if you’re new to podcasting and are wondering what the other installments are about, you can find them here (Equipment and Software) and here (Planning and Production). Also, just a reminder, we’re loosely using Pat Flynn’s 2012 video tutorial as the backbone of this tutorial. However, we’re focusing more on doing it for less than what Pat recommended at the time. Again, I’m not sure if Pat still has his team use Garageband to produce the SPI podcast or not, but I do know that if you’re an audiophile – you’re probably using something a little more professional. If you want to go the more professional route right out of the gate, Logic is a good choice. You’ll have to pay for it ($200 at the Apple Store), but you’ll definitely learn a lot more along the way about production – if you want to. Again, Chase talks about them in his tutorial on Fizzle.co (that’s a link for free trial to Fizzle) because he uses Logic to produce the Fizzle Show. Now, when you do this, you’re going to have a rather large file still as you’re publishing to a raw audio format. Most podcasts are in mp3 format. “Why not go with mp3 here?”, you ask. Well, you could and I’m sure many people do. But in Chase’s video he explains that your audio is more than likely going to be in stereo if you export directly from here. There’s nothing wrong with that if you like to have your audience feel like one person is on the left and another person is on the right and so on. Like Chase, I prefer to have the audio in mono because it shrinks the file size of the final file by half. You should know that Compressor is typically used for video files (specifically Final Cut Pro files) but you don’t have to have Final Cut for it to work. One of the things that Pat mentioned in his tutorial that he used to do is use the Levelator to bring all his voices and sounds to the same volume level. It’s a great simple solution. However, if your show is designed to have manual fade-ins and fade-outs, or you purposely alter the volume to censor cusses, or anything that changes the volume, then using the Levelator is not going to be your best choice. It will basically destroy all those fine tunings. This has been my case. I use Fade-ins and outs to transition from one part of the show to another. The Levelator destroys those transitions. So for the longest time I’ve been struggling with making sure that everyone sounds good on multiple speakers. In my office, many of my shows sound great, but when I got them to my car which has a much different setting than my office, my side of the conversation would sound much fainter. I think I’ve fixed that as of session 59. Per Chase’s advice via the Fizzle forums and Podcast Master Cody Boyce’s help, I’ve started altering the output level of the entire track. Hopefully this will be a welcome chance to those of you who listen in your cars as well as your headphones. You probably noticed that as part of my tags, I have my “generic artwork”. Artwork is huge. You can’t forget it – and unfortunately, many podcasters do. You want to make sure that you have some sort of generic piece that you’ll be able to post on all of your shows. Feel free to make personal cover art for your guests! Pat used and continues to use one piece of artwork for his podcast. If he’s changed it since then, it wasn’t much. That said, I change mine every show based on who I’m talking to. I give each one of my guests their own individual “cover art”. And when you have a template going like I do, it doesn’t take too much longer to add this personal touch. The artwork that is in the tags is usually what the player will play in your listener’s player – unless it uses the generic artwork provided to the place where people are downloading your show from. I know that you can’t change Stitcher and Google Play’s artwork as they overlay the generic artwork that you’ve chosen to register with them. On the other hand, iTunes, SoundCloud, and any player that actually downloads the file to your listening device, will more than likely use the artwork you provide for that particular file. So my recommendation is definitely have a generic artwork image that you use per show. But if you have an interview based show, feel free to give your guests a little more appreciation by giving them their own cover image! Through my experience, Libsyn is a great option for all the reasons Pat mentioned. Another thing to note is Libsyn is set up in a way that you can upload it at one point and then it will become available whenever it is published. Before it is published, you get a link for where it will be linked from. This means that you can get all your show notes all ready to go before the actual launch of that particular show. Essentially you can set it to go off and then work on getting your marketing ready to go. However, the more bang I can get for my buck, the more I’ll want to use a particular option. For Chase and I, we both use SoundCloud as the host for our show. And while we can’t actually set it up before hand like Libsyn (SoundCloud only gives their file link after it’s published – and even then you have to look for it in Settings > Content. Then copying and pasting the rss feed URL to another tab and then searching for “URL=” in that page of code to find your files. Ugh. ), all the metrics that comes with Libsyn’s middle pricing tier is available through the basic tier of SoundCloud. So, I’ll say this. If getting your content ready to go ahead of time is priority and you don’t do things at the last minute like Chase and myself, then you’ll want to definitely go with libsyn. If you just want to go the least expensive route – SoundCloud is currently the way to go. Alright, guys. There you have it. That’s the basics of how I do my podcasts. Again, mad kudos to Pat and Chase for their help in teaching me this process. Now it’s time to start your own show. I hope this gives you a little more insight into the behind the scenes of doing a show so you can start yours or make your current process a bit more efficient and/or easier on the wallet. If you have any questions regarding this process, feel free to contact me using the contact page. I’d be glad to help you out in any way I can! The world tends to mistake desire for clarity. When people talk in a no-nonsense way, it’s often mistaken for aggression. Getting aggressively engaged with your future will bring you clarity. In a world of much chaos and huge differences in “factual” information, it’s pretty easy to get confused in what we want out of life. We spend so much time figuring out who we are, that many times we forget the actual process that we’ve taken to get to that point. We forget that not everyone has had our struggles. We forget others don’t have our same background. And many times, we see the strengths that we’ve developed as no big deal. Many of us, while we know we’re good at things, simply don’t choose to capitalize on those experiences and strengths. Many times believing that we have to emulate someone else to be considered “successful”. When we look at many of our favorite successful people, we might have different ideas of what made them succeed. It’s easy for us to think, “Oh yeah, that guy is a product of the system they’re in!” or “she was just lucky,” or my favorite, “dude, he simply has extraordinary talent”. But, from successful person’s perspective, are those the true secrets to their success? That the reason they were good is out of their control? So why is it that so many of us believe that success is given to us? That it’s from an external source? Personally, I think that we’ve been trained to think that way. Our past schooling and our supervisors were the ones in charge in determining if we were successful. Success was based on our grades and our ability to move up in corporate ladder. However, I’ve re-learned that true success comes from being able to build a sound foundation that all your future choices will be built on. That sound foundation is often referred to as clarity of purpose or simply clarity. For a majority of people, professional sports seems simply as form of entertainment. On the surface, I can see how they see that. And frankly, they are. And I think that’s how many of us started watching our favorite teams. However, as I’ve grown older, I’ve realized that we can study them, not for stats and trivia, but actually for key elements that we can apply to the rest of our life. We can learn about relationships, teamwork, leadership, communication, execution, metrics… the list goes on. For me, I learned a ton from watching the 2006-2007 Colts team win the Super Bowl. Every year prior while Tony Dungy was their coach, they focused on the small things – the basics of the game. They focused on tackling. They focused on timing. They focused on communication development. I mean, compared to today’s team, they were pretty polished on every aspect of the game. There’s no way that this would have happened to that Dungy team. The team was simply prepared to win that Super Bowl. Looking around the NFL, there are a couple of teams that might stick out as teams that just “have it”. They have a working system. One of those, as much as I and other NFL fans would hate to admit, is the New England Patriots. For as far back as I’ve been a fan of the Colts, the Pats have been a powerhouse in the NFL. While there hasn’t been too much released to the public about how they win so regularly, NFL fans can tell that the program that they utilize works for each player on the team. A program that stresses that their players must “Do Their Job“. Across the sports spectrum, we can see many instances in college basketball. Take for example, Coach K. Just like the system that the Patriots have with Belichick, part of what makes coach Krzyzewski is that he starts with the basics and that he wants feedback from those that are around him. Before Belichick and Krzyzewski, there was Bobby Knight, and before him there was John Wooden. Each had winning systems. Well, they are and they aren’t. They are in that a good system can provide a player a good environment to get better in. However, it’s up to the player to take advantage of that environment. Those that don’t follow the system are yanked out and replaced. That said, the more a player excels in that environment, the higher potential they have. They excel, they get rewarded by more playing time. They can’t let their ego get the best of them or the team and they, themselves, won’t win. They simply need to let the system work it’s magic on them. For some it takes a little less time than others. However, when the player utilizes the right system, they’ll have a much better chance to succeed than if they were the only star on their team… or outside of the league all together! Since personal development and business development have gone hand in hand since the Wallace Wattles days, we should realize that there are ways to build a business and ways not to build one. Recently, I’ve been hearing a lot of the same material repeated about building a business. Each time I hear it, it differs just a tad bit. However, the foundational pieces stay the same. And the biggest and most important piece that most people who want to start their own business struggle with, right from the beginning, is clarity. Following a system that can give you clarity, just like in sports, is a HUGE advantage when you’re trying to figure out a business that’s going to function and be successful. Through the 8 years that I’ve been studying the entrepreneurship world in detail, there have been only four sources that I quote regularly for helping me move on. One of them is finally systematizing his findings. So I wanted to do a quick review for you guys today. Depending on what you want to do, these will all help you move forward without wasting time and money. Type: Immersive Training. Everyone starts from nothing. You will be working with sponsors who have had success already. You’ll be selling already existing products and getting others to join your team. Marketing and training is available through the company. Cost: Varies. Depends on how you get started. Whether or not you buy the same product you advertise. How much marketing stuff you’ll use. So this is going to be a hard turn off for some. However, others will love it. Just depends on what you want your business to incorporate. If you want to just focus on marketing and growth, this is totally your thing. If you want control over R&D as well, keep moving down the list. For me, if I hadn’t started with LTD, it would have taken me a little more time to get into personal and business development. As far as passive income goes, nothing beats the multi-level marketing business type. Well, for one, it’s super simple. Because anyone can enter and it doesn’t take a genius to be successful. You simply move product for the main company, and you get more people started as IBOs, coaches, or whatever they call their members. The second thing is that the right groups, like LTD, will teach it’s members life skills (I learned about John Maxwell and Coach K, among others, from LTD). And the third thing is that if you truly build it like those that have gone before you discuss, it literally is the most passive income source available out there available for people at all levels. Once you build your business, if you’ve brought in the right kinds of leaders and trained them well, then chances are as your group gets bigger, you’re needed less and less. Oh, and your income increases as well. If you’re wondering, I’m still a card carrying member, so if your interested to know more, contact me directly about it. Just make sure you put “LTD” in the Subject line somewhere. Type: Immersive Training. Again, everyone starts from the bottom and works their way to the top. You will be working with coaches who have been students in the program before. Originally geared towards building online membership software (Software as a Service). Cost: Relatively high up front. The expense of being in this program runs in the thousands. So it might not be an option to all future entrepreneurs. But it’s definitely worth it as you will be fully virtually immersed by the class. Another very focused group that I’ve been a part of has been the Foundation. 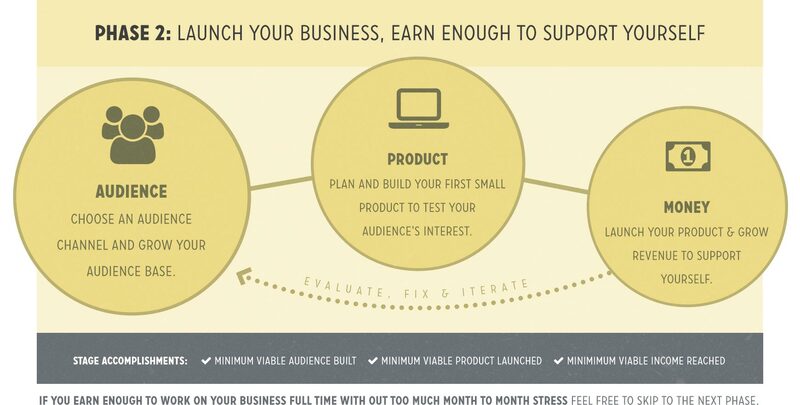 There are 10 types of online businesses that you can start. Being a “engineer” is one of these options. As an engineer, we specifically fix a problem that clients and future clients will have. Many times that solution will be done through building software. We do this through what TF calls Idea Extraction. Now, idea extraction can possibly scare plenty of people because it might involve cold contacting people – especially if you’re not connected to an industry you want to help. However, there’s ways to mitigate the effects of doing this contacting and it’s explained within their course. Type: Independent Training. Most training across the web is what I’d consider independent training. “Students” can start anytime, anywhere, and at any level. (The previous two options makes everyone start from scratch.) They have complete control over everything about their platform. Some might find this level of control too much. Others might love it. Cost: Least expensive of the four as it’s a book. However, it’s put together from years of Pat’s studies for his blog and interviewing for the SPI Podcast. Being released in February 2016, I have had the pleasure of being on the Book Launch Team for this book by the Internet Marketing Crash Test Dummy himself, Pat Flynn. While it might not come with the specific community that the three other options have (not saying Pat doesn’t have community, he does), it does have a great interactive framework that you can use to start your online business. Mission Design – Through a series of thought-experiments, we’ll make sure your target idea aligns with and supports your target goals. Development Lab – No matter where you are currently in your business, this phase is used to uncover important details about your target idea that you haven’t even thought about yet. Flight Planning – This is where you’re going to assess the current conditions of the market that you’re entering so that you can see what (and who) you’re up against. Flight Simulator – You will be combining everything you’ve learned through your research together to actually validate and test your idea with a small segment of your target market. All Systems Go – You’ll be doing some final analysis to make sure you’re ready to move forward with your idea. In addition to that, you’ll get some helpful insight on your next moves, and how you can take a lot of the information you’ve uncovered during your research in this book forward with you, so you know your next steps. Type: Hybrid Training. Is a mix between Independent Training and Immersive. While you go at it your own speed and can start from any entry point, there is a community to ask questions regarding anything you might have problems with. I believe this is the Jack of All Trades solution. This resource for building your business, like LTD, is for the long term. You can learn the basics that Pat discusses in his book, but it will take you from creation all the way up to scaling up to a point where you actually start hiring a team to help you. As of the writing of this post, I am a local Fizzle meetup host for Indianapolis. Again, you can get started at Fizzle for a free trial here! If you’re interested in being the best in anything, you got to find a working system to learn it in. As you can tell, I’ve gone through several myself. While I take full responsibility for my lack of focus and discipline in the past, it is my sincere hope that you will be able to excel in any of the above programs. While each resource above is geared towards making you successful, whether or not you acquire that success is up to you. As the Under Armor Tom Brady (the Patriot’s quarterback) commercial says, “You are the sum of all your training“. If doing what you love for a living is really what you want to start working towards this year, I believe you need to get yourself in a system that will help you focus and excel. There are many out there, but I hope this review gives you somewhere to start. Below, feel free to ask any further questions about each resource you might have. If you’re a seasoned pro and have had training outside of these 4, I’d love to hear about your experience. Eventually, I’d like to get a guide and/or review for various programs so that people don’t waste their time or money on a program that doesn’t fit them.